Braselton Member(s) of the Month! 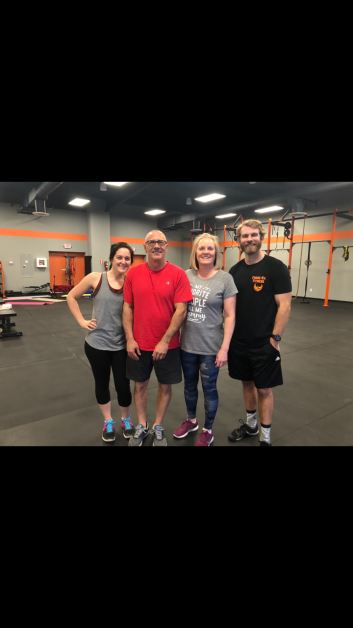 We have the Donatelli family for this months Braselton Member(s) of the Month! What a fun crew and it’s cool to see a family that loves each other enough to workout together. HAHA! Here is what they said during out interview with them. Running, golf, most outdoor activities. I once tried to cross the St. Lawrence Seaway in a row boat, bad idea. I would have dinner with Bruce Springsteen. I have been enjoying his music for 40+ years now. Walking into a bathroom door during one of my hotel stays, gave myself a black eye. Favorite thing about Forge – People are great and workouts never gets old. Best gym I have ever belonged to. I’m about to turn 56 on February 12th and a proud West Virginia girl, born and raised. MB slams are my favorite and burpees are my least favorite. Keep your health apart of your family tradition! We love it!